Thank you so much for everyone who participated in momoko Photograph – The photo and outfit contest of momoko DOLL 2017. Congratulations on the winners of “momoko Photograph 2017″. We will ask the winners to send us the high quality photo data for printing and the outfit for taking pictures by Twitter DM in the near future. The photo will be on the cover of “momoko calendar 2018″ and shown on other media. 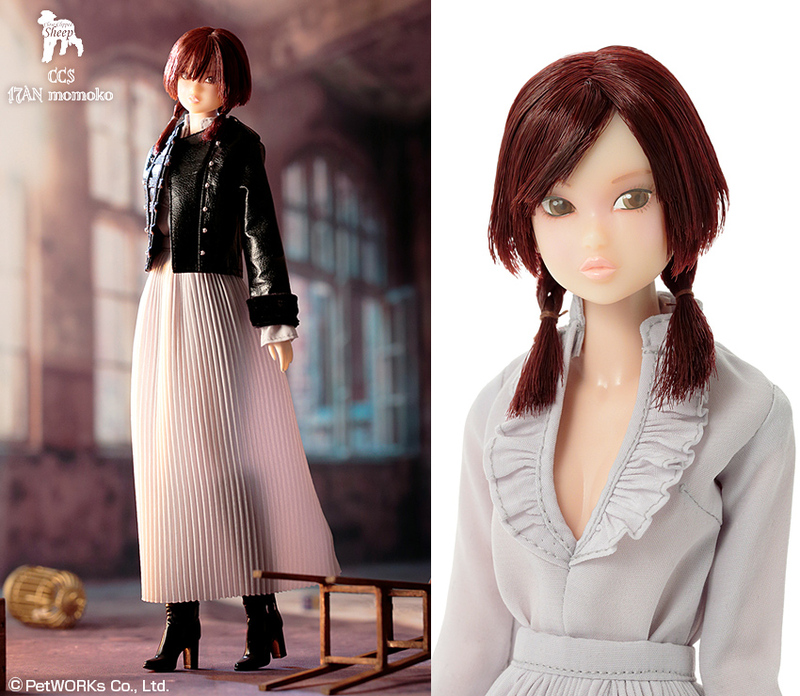 – A sample momoko (not for sale). The photo will be on “momoko calendar 2018″. Thank you for your entries for the “momoko Photograph 2017″. Not only momoko DOLL but there were also many PetWORKs dolls such as ruruko and our company’s dolls such as Monchhichi, so I was saying “this is cute, that one too” perhaps as a doll fan rather than judging. I truly enjoyed looking at the entry works. This time, we selected works for the calendar so the result turned out to be like this, but I feel like I was reminded that when you take photos of your favorite doll with love, make original outfits that you think would look best on the doll, such photos and outfits full of love are all wonderful. We, Sekiguchi will make further efforts to keep on creating dolls that would make all of you happy and encourage your doll life. We look forward to our continuing relationship into the future. Thank you very much for the many contest entries for the “momoko Photograph 2017″. Photos filled with love for the doll gathered during a month and a half of the application period, I had enjoyed the process. I also would like to thank you for the many outstanding works for the new Outfit category. Under the condition to select works that would appear in the calendar, many works were let go even though they were wonderful, but I fully received the passion of your entry works! The Grand Prize photo “Good Morning” by Io had a luring charm with momoko’s blond hair, green eyes and a red ribbon in the monochrome scenery with beautiful gradation of light. Also, the posing that makes her look natural even to the tips of her hands and feet was another subject of evaluation. The photos of all prize-winners have seasonal air, too. I’m sure that the calendar will be completed with monthly delight to look forward to. Also, the office of momoko Photograph will take photos of the Outfit category prize-winning works. We will do our best to take photos that would be great as everyone’s entry photos! We hope to continue to make dolls that would stimulate your creative urge. Thank you once again for enjoying the contest together.